Complete a wizard-based Anti Money Laundering risk assessment for you institution. 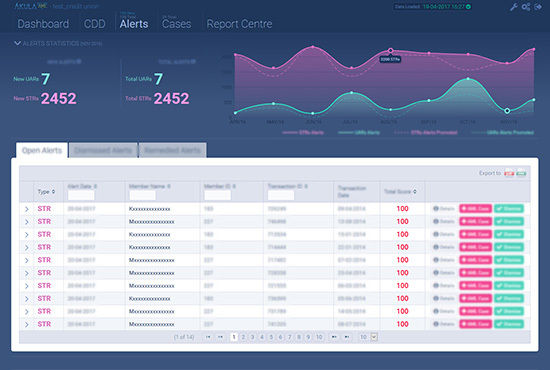 Record all inputs in an institute risk assessment report. 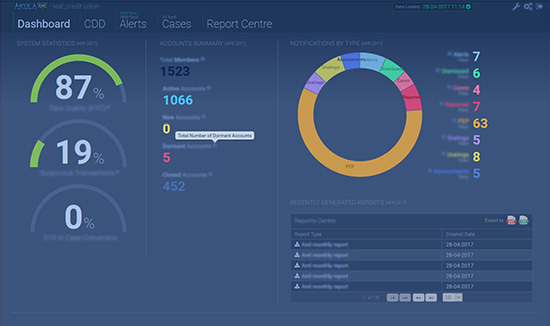 Manage all elements of customer due diligence from within Akula. Risk rate all customers automatically, on an individual or on a cluster basis. Use customer risk rating as an input to transaction monitoring. Configure the Akula transaction monitoring engine to monitor your transactions on a basis that is particular to your organisation. 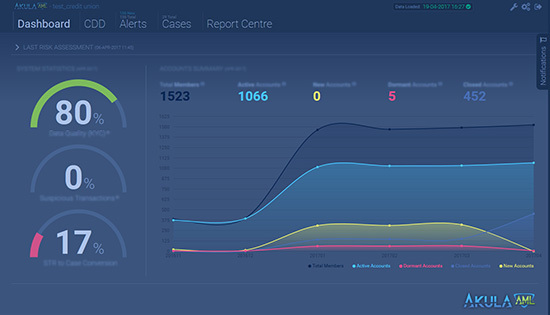 Manage all transaction and member alerts from the Alerts Dashboard. Convert alerts to cases. Automatically notify suspicious cases to the authorities. Monitor all activity and performance from the Akula Dashboard. Review performance in Monthly and Annual Executive Reports. Monitor all system events on Akula using the Notifications Dashboard. Maintain a complete, non-editable audit trail of all system activities. 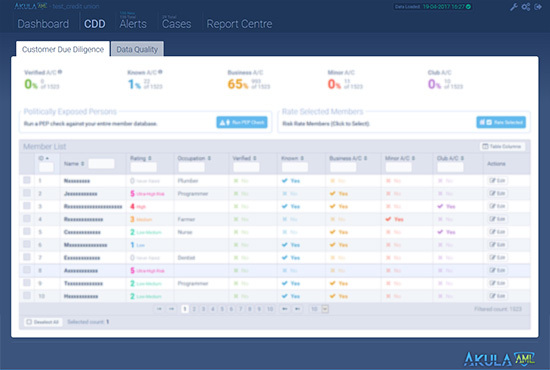 Automatically import data from your organisation’s operating system. Monitor data quality exceptions. 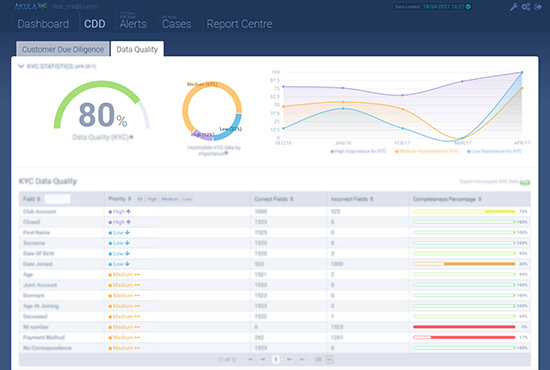 Generate data quality reports for actioning on your operating system.